This was avant-garde. It was a new approach to the creation of original work based in classical styles; and it was significant that this should have taken place at the Bhavan. Q & As have become something of the norm these days, and there were some illuminating exchanges following the performance; but there was also a prelude this evening in the form of a short documentary film by Matthew Cawrey which allowed the dancers and their mentor, Mayuri Boonham, to describe the impetus behind the work/s we were about to see. 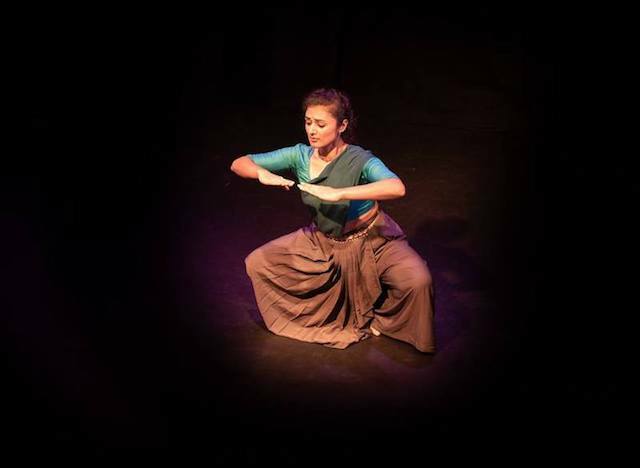 The six dancers, rooted in their respective classical forms of bharatanatyam (Shivaangee Agrawal and Swati Seshadri), kathak (Meera Patel and Parbati Chaudhury) and odissi (Elena Catalano and Pallavi Basak Vijay), were working in a new way: each pair was choreographing work on each other, and the whole group met weekly over six weeks, to experiment, to nourish and inspire each other, and to create six pieces drawn together by a theme they had chosen. Such peer choreography is unheard of in Indian classical dance, and such a collaborative way of working is rare. 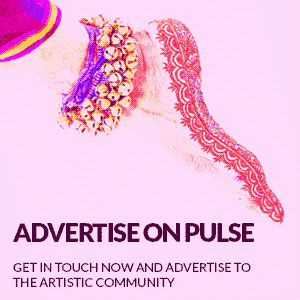 Here was an opportunity for these six artists to choreograph on other bodies for the first time, to have a voice and to be able to share the voice on the platform provided by the Bhavan. We felt a sense of democracy and openness, and of freshness. There had been no ‘casting director’, rather the dancers had sought each other out. The artists, dynamically projecting the energy levels of early maturity, were individuals who made us look, but who were not too precious about themselves. There was a sense of the studio coming on to the stage and they did not seem obsessed with audience. Some responded initially to the idea of the process; others found themselves moved, even to tears. One said that all the emotions had been ticked off so that she was not left, as she often is, with angst at the end. They were struck by the beauty, and each item was felt to speak from the heart, as the line took us through representation and abstraction in the different styles, some more visibly ‘classical’, some taking the classical form as a starting point for exploration. 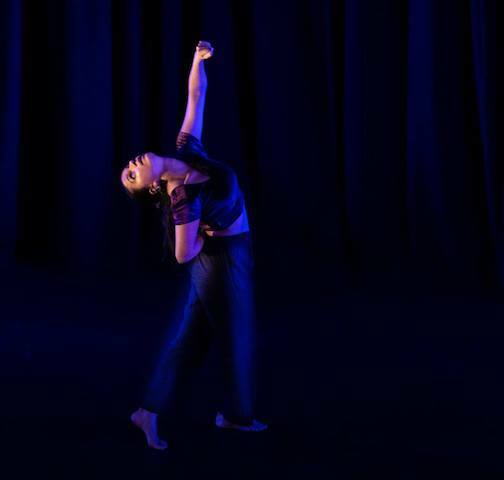 I Surya (choreographed by Pallavi and performed by Elena). This piece was at once gentle, powerful and expressive. The sense of upward movement throughout expressed the devotional theme, and the clear odissi stances communicated a joy in the form. One motif stood out, the deep chauka, or rather mandala, with the dancer’s arms raised in a half-circle evoking the sun. The repeat motif successfully linked the sections of the piece. II Geometer (choreographed by Meera and performed by Parbati). The transition to this piece felt seamless, although there was no interaction between the dancers, as we moved beyond the more clearly classical, in terms of dress and presentation. Geometer had a meditative quality. There was a sense of mystery and other-worldliness. 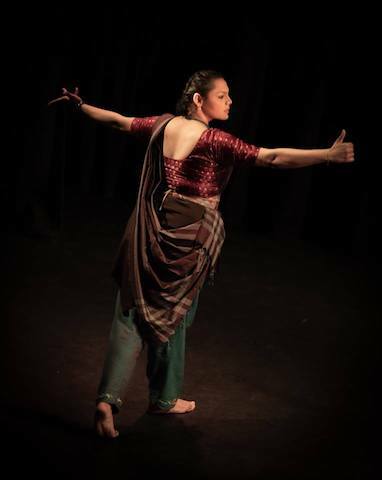 The hand led the movement, starting with an exploration on the spot and then drawn across the space in diagonal lines, with opening and closing of arms, breaking out in chakkars (pirouettes) and gentle tatkar (footbeats). 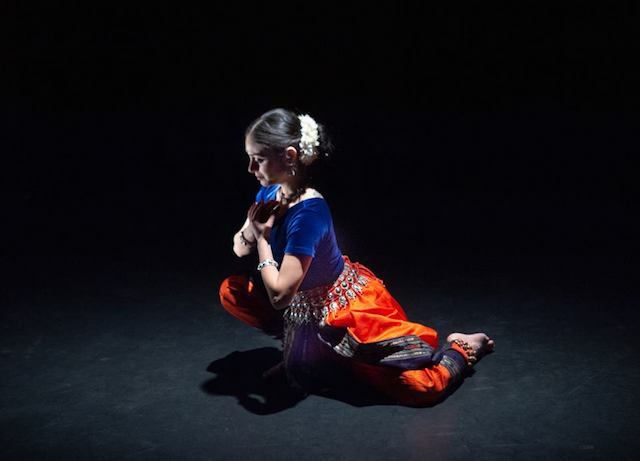 It was angika abhinaya (expressing through the body rather than narrative). 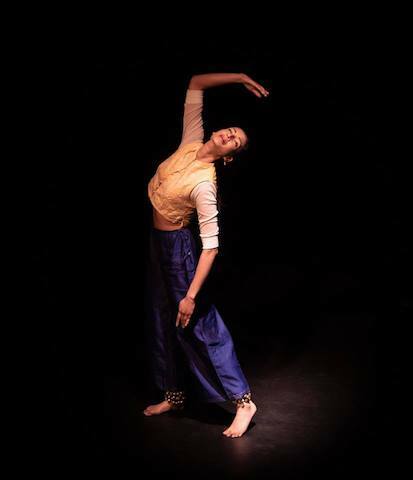 III Your Path (choreographed by Shivaangee and performed by Swati). There was simplicity and clarity here, communicating a sense of searching, with a strong physical presence and repeated motifs of shikara and alapadma. The dancer engaged the audience with a direct gaze, as if to say that we too are seeking direction. IV Derailed (choreographed by Parbati and performed by Meera). Some found this, ‘the train piece’, moving and evocative, speaking to the heart, communicating the sense of keeping something together. There was a satisfying complexity in the structure; intensity and sharpness in performance. The movement content was less reliant on the classical style: low bends and swivels of torso had an organic, even animal-like quality. The ending with the dancer on the floor legs outstretched, jerking to the rhythm of train (a kind of tehai?) was memorable. This piece moved some to tears, drawn as it was from the choreographer’s memory of mother and grandmother knitting and working with yarns, with complex movements suggesting the intricacy and delicacy of the craft of knitting, with the past coming into the present, and the work (the craft, the dance), drawing the whole world in. We were struck by the musicality and the minimalism of this piece, and the refined aesthetics, with the turquoise blouse and the light on the hair. The playfulness, teasing and humour made an uplifting end to the series. The line, time and space were all encompassed in the evening. Mention should be made of the production values – lighting and costume – and the music, which was integral to the artistic coherence of the series of pieces, allowing them to be distinguished, too. Some would have liked to see the six dance together; but others have found artists from different styles dancing together rather indulgent and not satisfactory. Young dancers taking part in the Pulse Dance Club discussion said they would like to apply this approach to their own practice, branching out horizontally, rather than creating vertically and hierarchically. Might this have been the first night of a new movement? It is without question a step in the right direction, and we look forward to seeing what follows. Transformations of the line, a performance presented by the Rerooted Dance Collective, was a beautiful event. Beautiful in the discernible dedication of the dancers to their dance forms. Beautiful in the trust testified in choreographing on and being choreographed on each other. 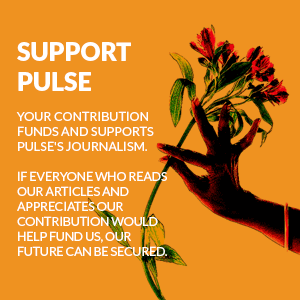 Beautiful in the support for the Collective shown by such a diverse range of people and institutions. 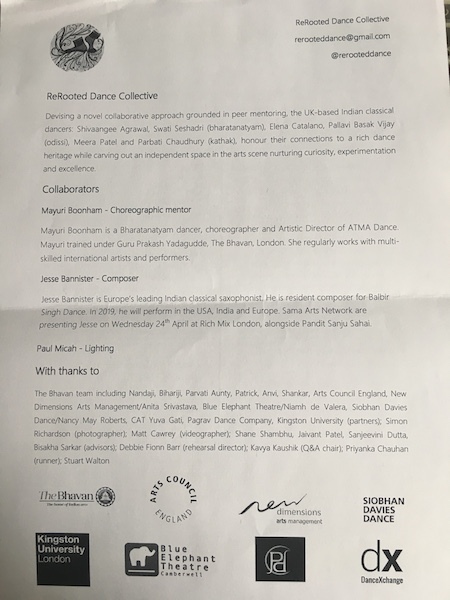 There was something particularly fitting about the Bhavan Centre, one of the earliest initiatives to have nurtured the development of classical Indian dance in Britain, now stepping up to provide core support for one of the newest. So, yes – I'm a groupie, and I have even (literally) – got the T-shirt. One further thought – an audience member asked why the Collective seemed to 'strive for fusion pieces'. For me, 'fusion' – that unnatural reaction forced by extremes – was very far from what I saw in these pieces. Here there seemed nothing forced, but rather the organic stretching of limits arising from living, breathing – inhabiting dance forms. 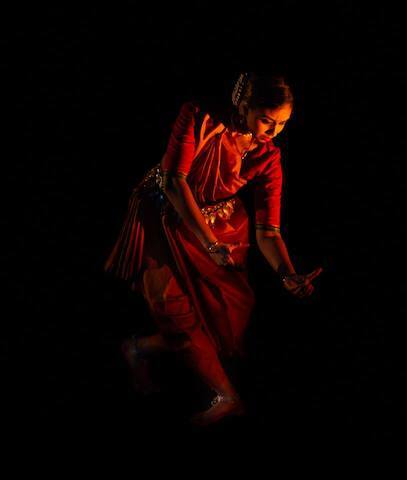 The commitment to the discipline of their forms was evident in each dancer. They may be ReRooted, yet they are, incontestably, rooted. This was their first performance. It certainly won't be their last.